Korn have released a behind-the-scenes video showing how their Black Is The Soul promo came together. The video for The Serenity Of Suffering track arrived earlier this month and showed a faceless woman wading through pitch-black water in an effort to reclaim her soul. In the making-of clip, producers guide the viewer through the techniques used to create the visually spectacular video which was recorded in Los Angeles. 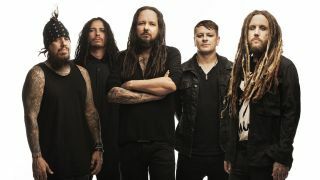 Korn will head back out on the road across North America from July 19. They’ll then return to Europe for a run of live shows in August which includes sets at the Reading and Leeds festivals. Find a list of Korn’s remaining 2017 tour dates below.